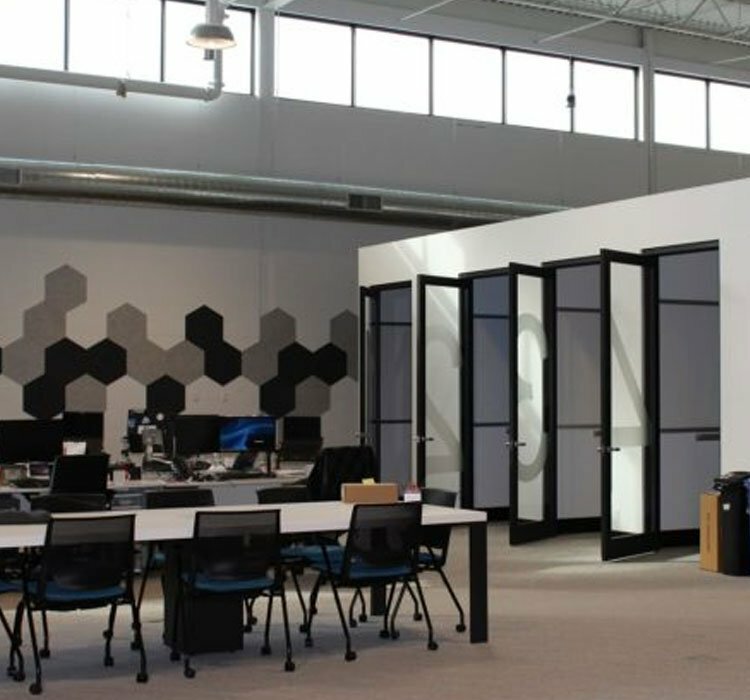 Miovision, founded in 2005, is at the forefront of the Traffic Technology Industry. Boasting 650 customers in over 50 countries who use Miovision traffic video to gain insights on their transportation networks and projects. 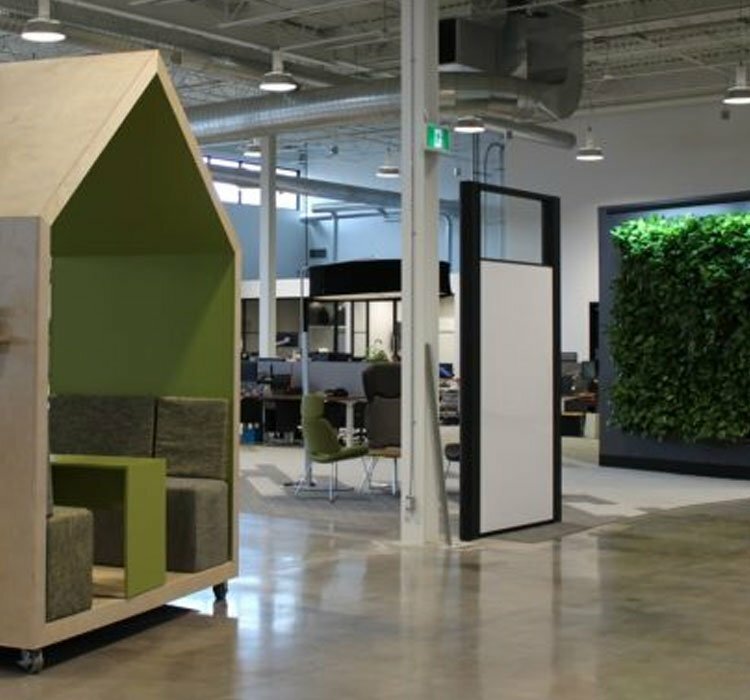 When it came time to expand their headquarters in Kitchener, Ontario, they wanted a very modern looking space that represents where their business is, and where it’s going in the future. 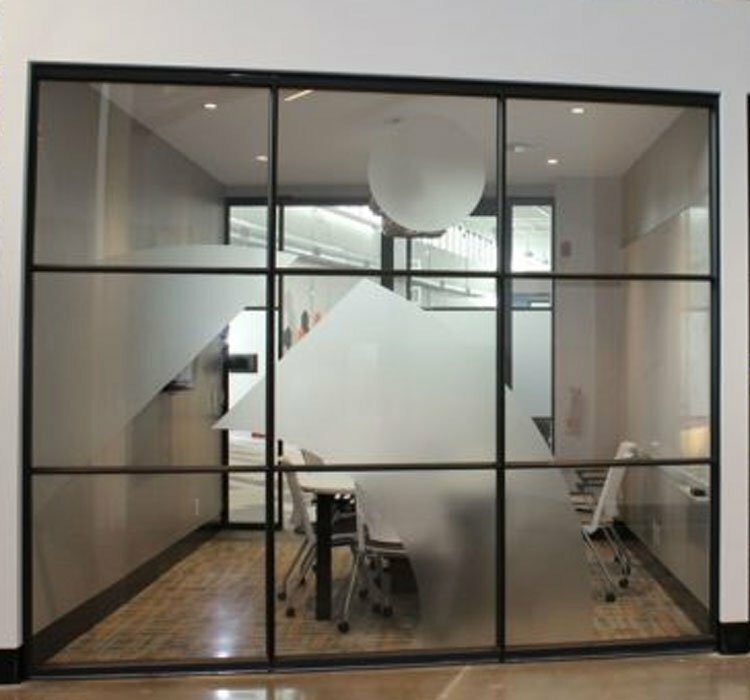 For their new space they wanted to use lots of glass but wanted it to be more elegant than a standard glass front wall. 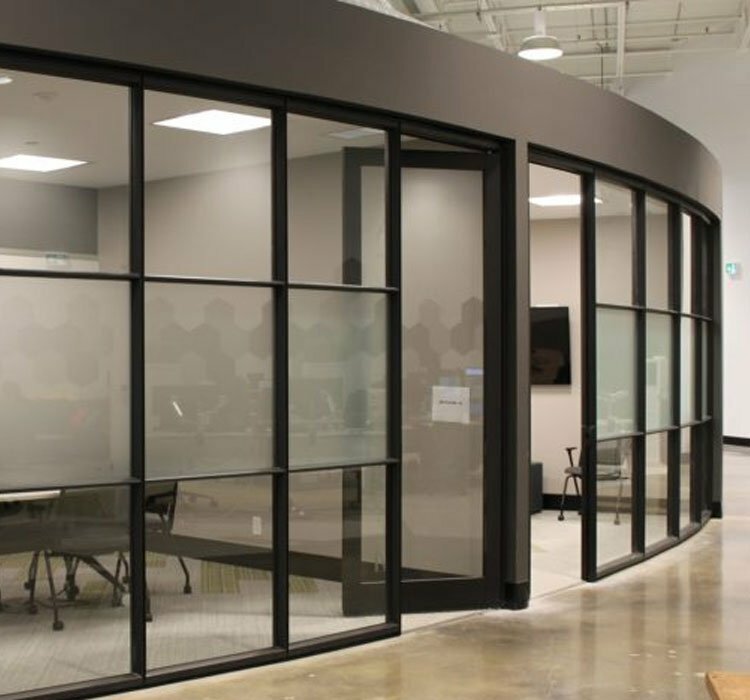 The double horizontal mullion adds an exclusive view throughout the space alongside the framed glass doors. 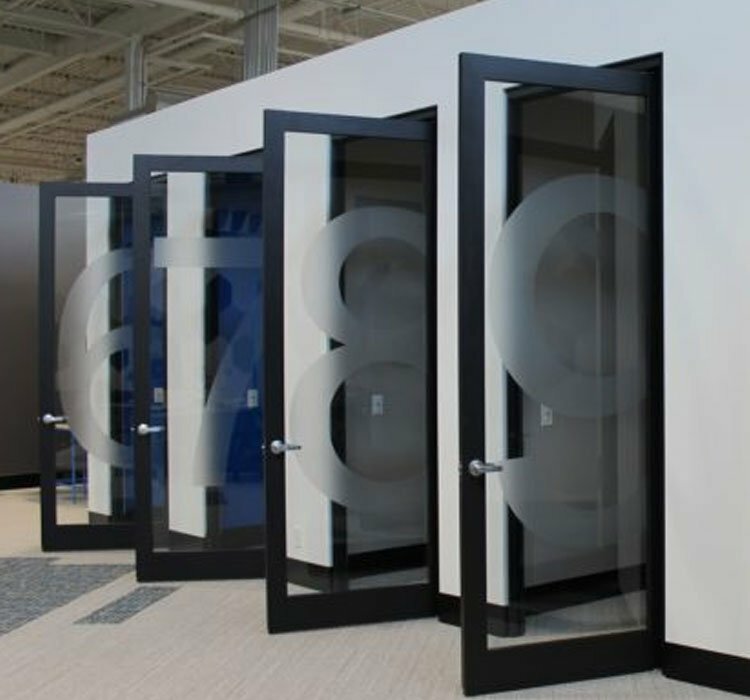 Individual call booths add a private area for any staff member when sensitive information is involved. 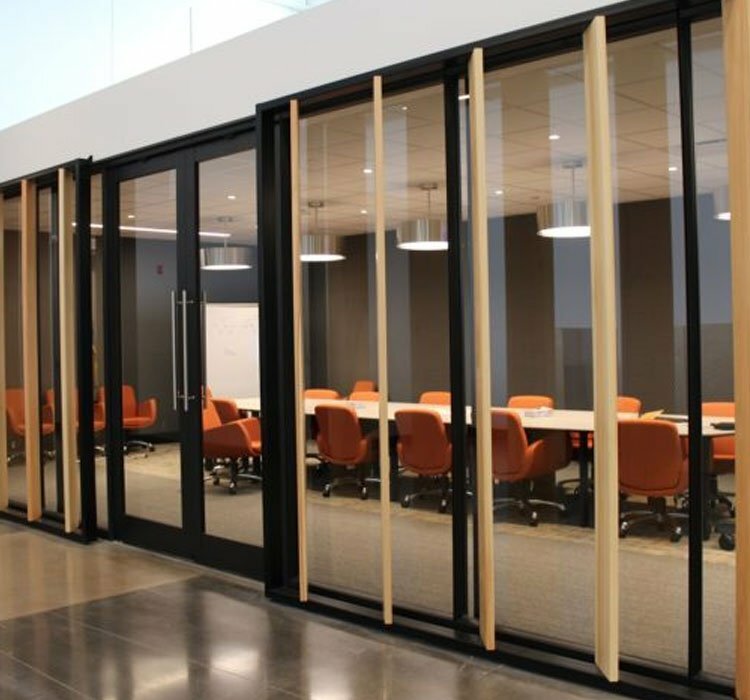 Webinar meeting rooms will allow Miovision to communicate with their other facilities and clients around the world. 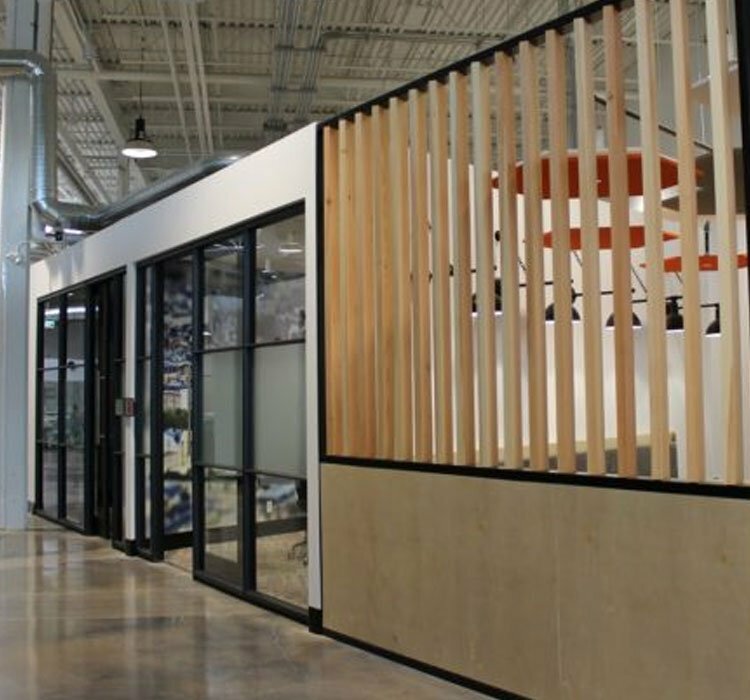 They requested several integrated and free-standing Television units throughout the office to keep the staff up to date on current projects and employee headlines. 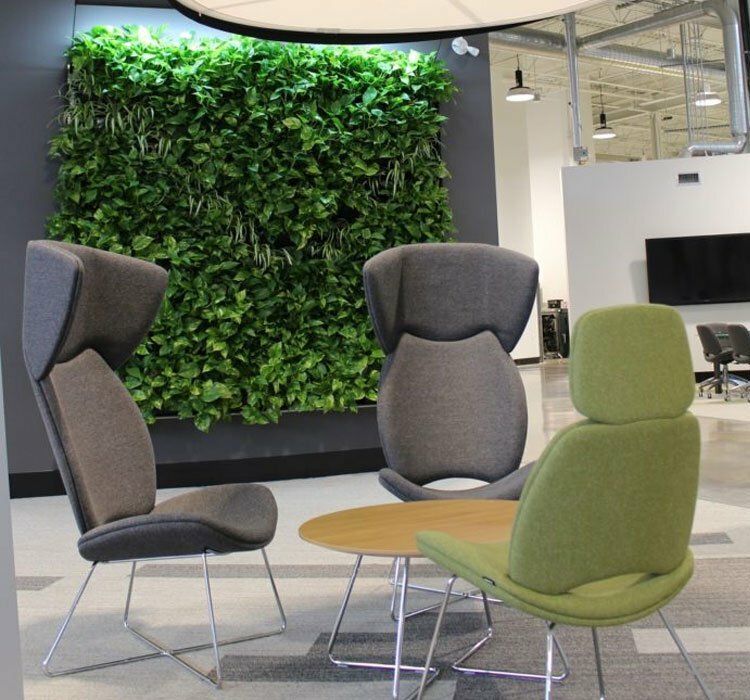 Two Breathe walls, located adjacent to the workstations and central hub, provide a splash of greenery to their expansive workspace. 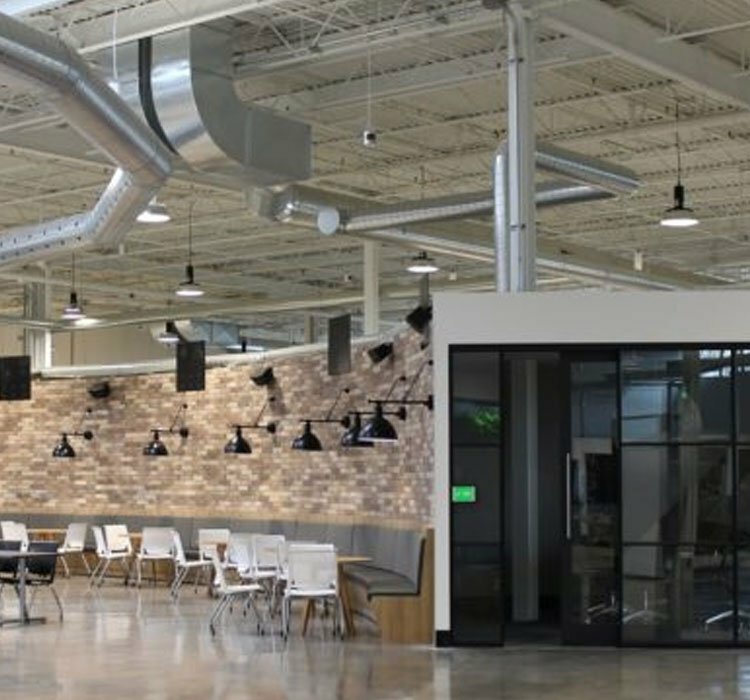 Their central hub area which boasts two full kitchen areas, natural light provided by four skylights and a bank of curved seating with several televisions provide a flexible space for their team to eat, talk and work. 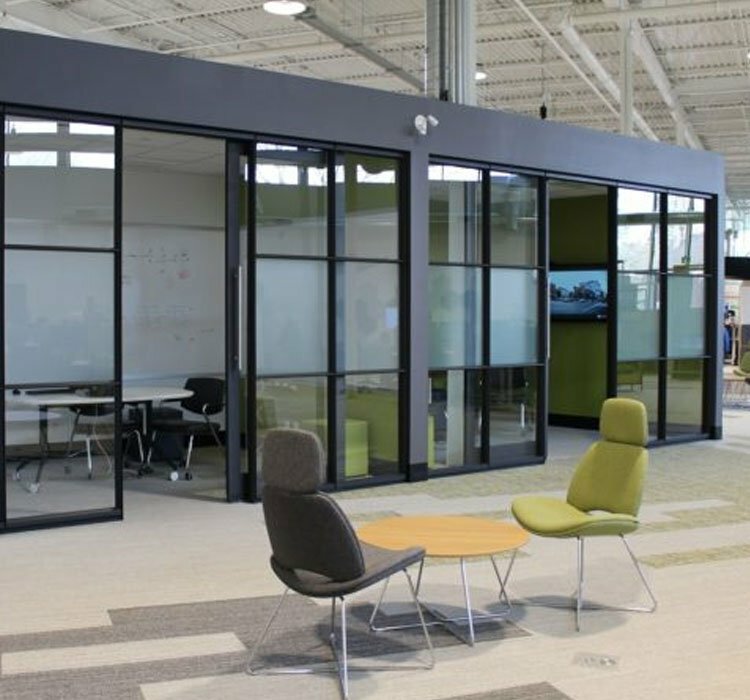 Several of their private offices and meeting rooms, offer 90-degree glass barn doors, which allow for maximum light penetration and eliminate the typical “stuffy” office feel, which Miovision was looking for. 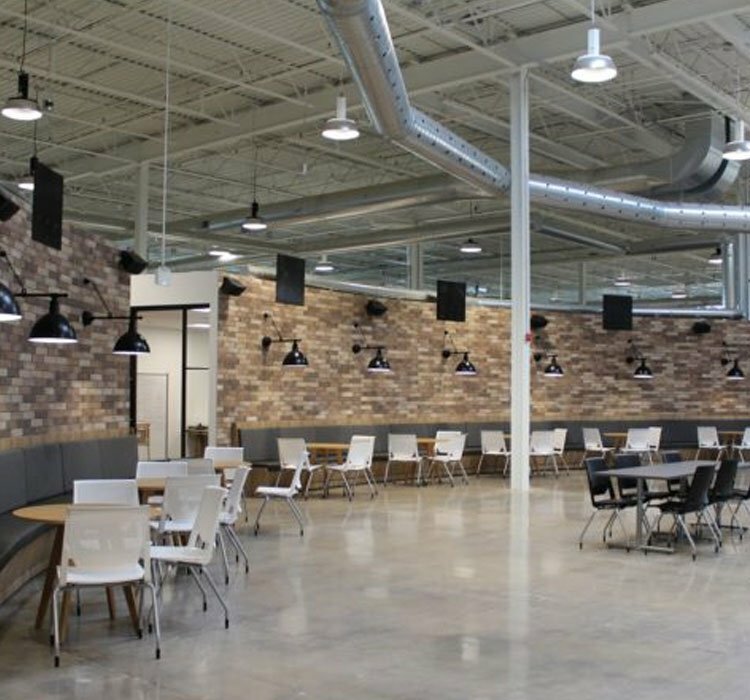 Overall, they have achieved an open, airy, multifunction space, with room for future growth as their business continues to expand.